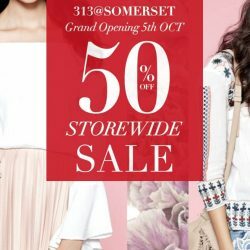 Celebrate TEMT's grand opening at [email protected] and enjoy 50% off storewide today, while stocks last! TEMT offers affordable on-trend designs for a wide range of females between 20 to 35 years of age, converting the latest runway looks into affordable, quality, everyday wear. 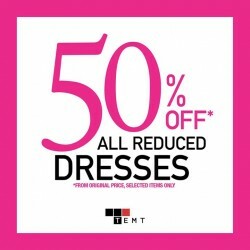 TEMT offers get 50% OFF ALL REDUCED dresses from original price, selected items only. Ends Thursday 24th of December. Yes, it 50% off EVERYTHING! 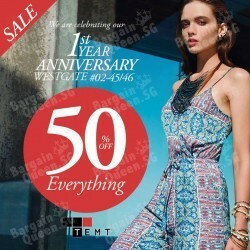 TEMT is celebrating our Westgate store 1st Anniversary from today! Don't miss this massive offer. 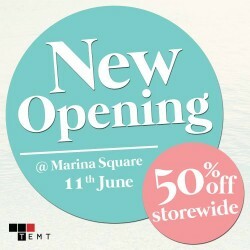 TEMT has just opened a new store open Marina Square. Enjoy 50% OFF Storewide from 11 - 15 June 2014.